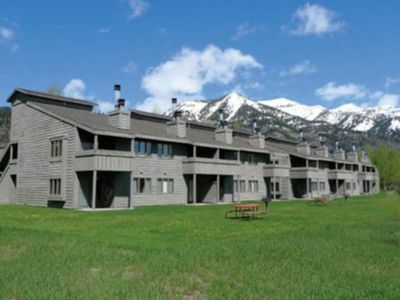 This 2 bedroom, 2 bathroom condo is located at The Jackson Hole Racquet Club resort between town of Jackson and Teton Village. 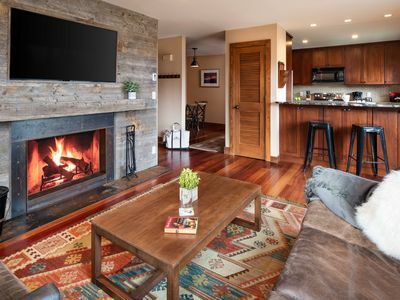 It is located just minutes from the world famous Jackson Hole Ski Resort, 3 minutes from the Snake River, 15 minutes from Town of Jackson with the great restaurants, galleries, theaters, shopping, Elk Refuge and Snow King ski resort. 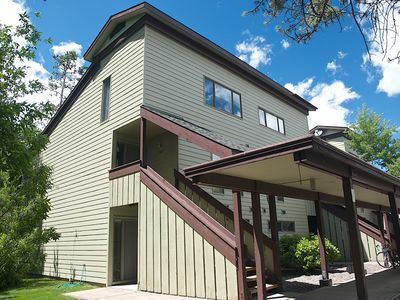 Restaurants, grocery store, deli, coffee place and club facilities are within walking distance. 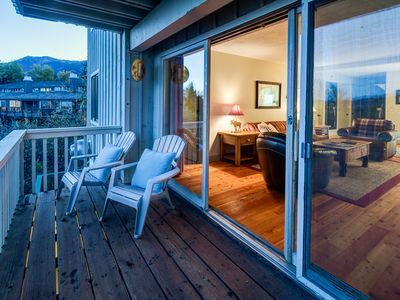 This fully furnished condo is on the second floor with loft. 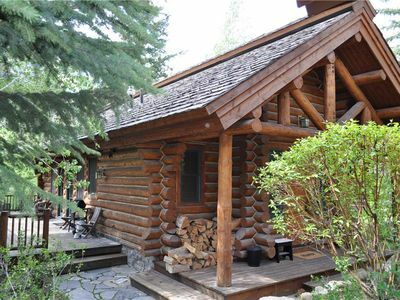 It has 2 bedrooms and 2 full bathrooms, fully equipped kitchen, washer and dryer, fireplace and deck overlooking the Teton Mountain Range. 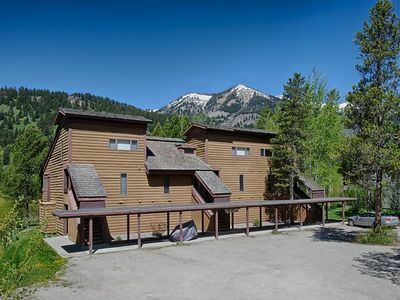 You will also enjoy the Racquet Club’s outstanding athletic facility, the Teton Sports Club, which features a complete fitness center, outdoor tennis courts and seasonal outdoor swimming pool, indoor and outdoor hot tubs, and sauna. 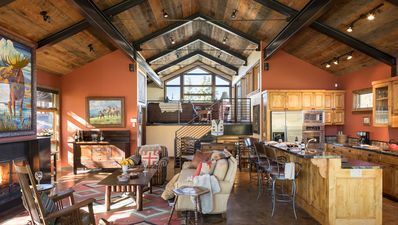 The Jackson Hole Racquet Club Resort also offers an onsite grocery store, travel agency, bank, dry cleaners and hair salon. 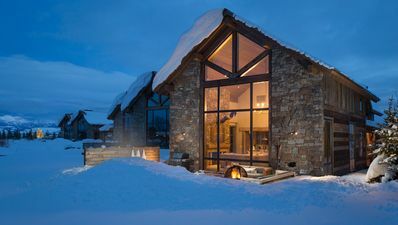 Jackson Hole is a special place where winter and summer are welcomed with equal joy. 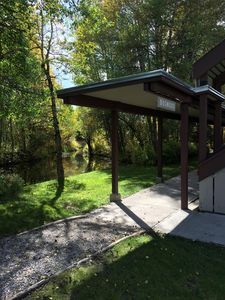 The area offers terrific skiing in the winter and numerous outdoor activities in the summer. 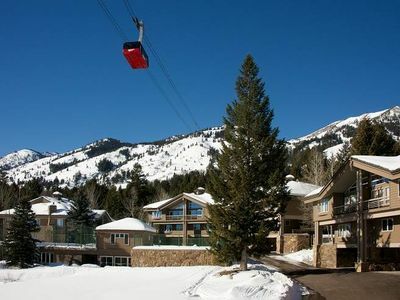 Jackson Hole is famous for the best fishing, rafting, mountain biking, rock climbing, hiking and sightseeing in USA. 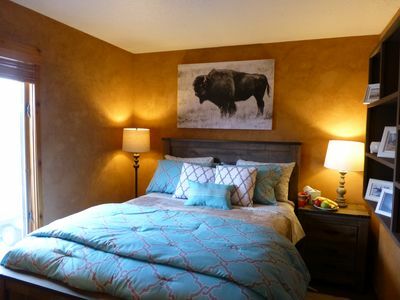 Our condo can also be a base for visitors to Yellowstone National Park. 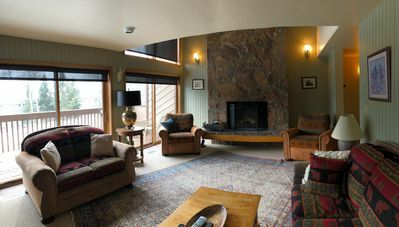 Our condo is perfectly suited for peaceful reflection on the day’s adventures: from skiing, snowboarding & snowmobiling to fishing, kayaking, biking, horse-back riding and hiking in Grand Teton National Park. 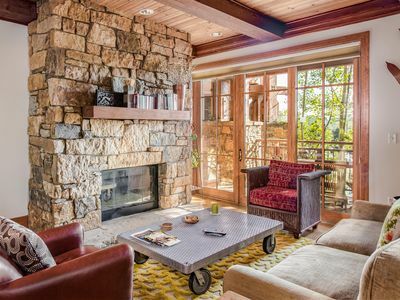 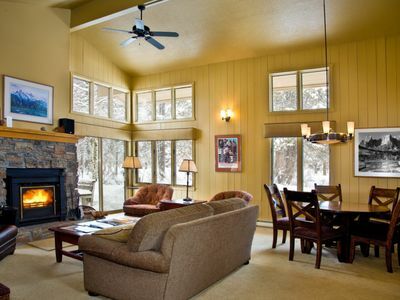 Experience a slice of heaven in Jackson Hole with your stay in our cozy place which is ideal for visitors year-round. 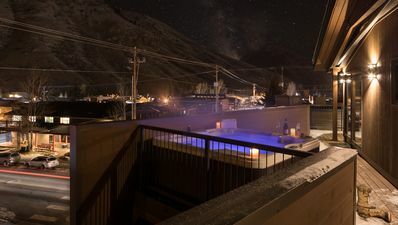 Outpost: Sleeping Indian E6 - Hot Tub & Pool Access! 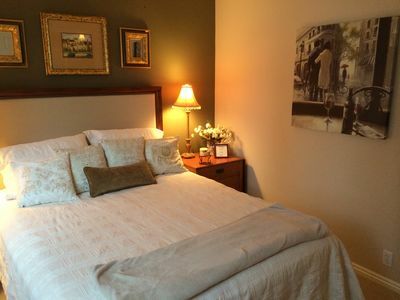 Cozy, updated & well-appointed 1 BR condo with location, location, location! 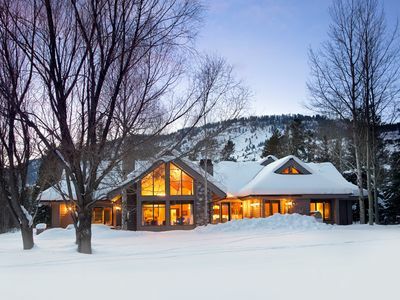 Private, serene home in the Aspens. 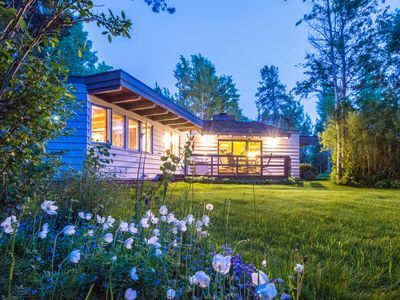 Great home base for all your adventures. 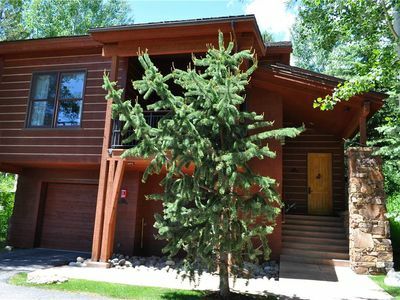 Teton Village Granite Ridge: Cozy 2 Bedroom Cabin Close to Slopes! 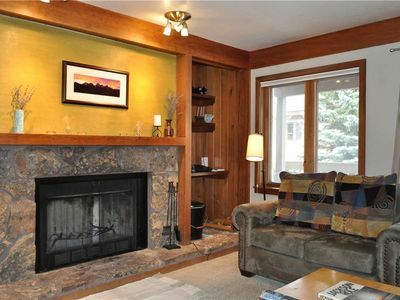 Brand New Rental w Amazing Yard!